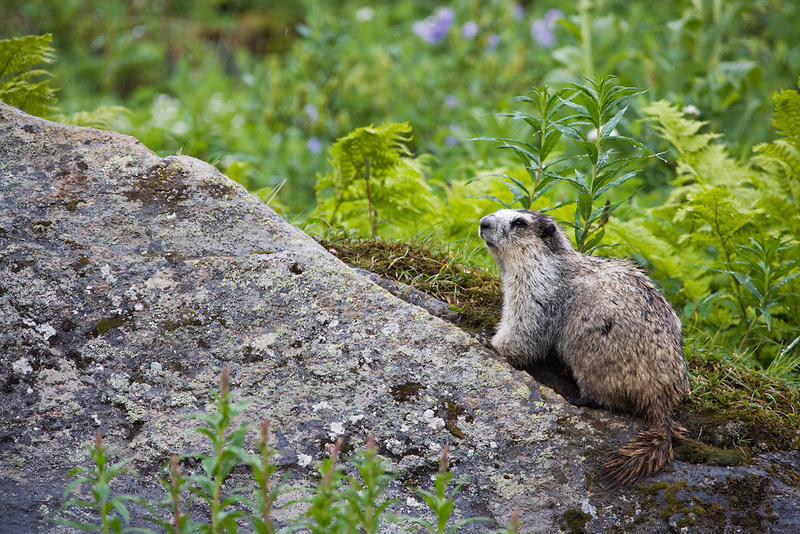 Female Hoary Marmot looking out for danger to protect her pups at Hatcher Pass in Southcentral Alaska. Summer. Afternoon.